Real protection for real sourdough? Sourdough bread has come to the forefront of the British food movement in recent years. Artisan bakeries are thriving and sourdough has had a huge renaissance. Yet whilst we celebrate all that is good and wholesome about sourdough and even cheer the demise of cheap flaccid commercial sliced (I hesitate to use the word bread here) loaves there is an insidious and perverse practice emerging from the commercial sector of fake sourdough. It is utterly wrong that these loaves, made using dried inactive powders, flavouring, emulsifiers, commercial yeast, artificial acidifiers, preservatives and a fast tracked fermentation, are allowed to be called sourdough. I first made sourdough over 30 years ago and until recently there has never been a need to protect sourdough, but in the past few years leaps in manufacturing processes means that sourdough is being faked and consumers are being conned. The traditional way of making sourdough is thousands of years old. It is made with a culture made of water and flour in which naturally occurring wild yeasts and lactic acid bacteria have been nurtured into populations that are then substantial enough to leaven dough. It is then fermented slowly. It is this trio of fermentation time with the yeast and bacteria that s is what gives sourdough its unique properties of digestibility, bioavailability of minerals and potential to help manage blood sugar levels. * see references below. As it stands the UK regulations means that both the labelling and marketing of sourdough gives no indication of the methods used or the length of fermentation. Manufacturers are selling “instant,” sourdough bread, which has had just a bulk fermentation of 40 minutes, and is “flavoured,” with sourdough powder. The purist in me is offended by the complete bastardisation of the immaculate relationship between wild yeast, lactic acid bacteria, flour, water, salt and time especially when artificial additives are then added to facilitate this process. So how is it that the Chorleywood processing type corporates are allowed to hijack our most fundamental food? It is because there is no definition for sourdough and no legislation to protect it. I wanted to find out what kind of legislation could be put into place to ensure transparency for consumers buying sourdough bread and how we can protect our most basic of foods from adulteration. 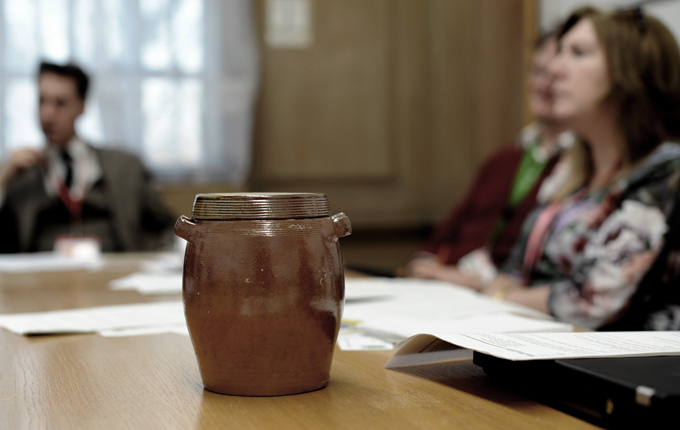 I met last summer with my MP Chris Heaton Harris, who was brilliant and facilitated a meeting with George Eustice, head of DEFRA, and last week I took my sourdough starter to London, to a second meeting with the Department for Environment, Food & Rural Affairs (DEFRA) along side the Real Bread Campaign. The choices we discussed at length are as follows. General guidance issued from the government similar to those issued in May 2015, by The Food Safety Authority of Ireland for The Use of Food Marketing Terms, as direction to make sure that consumers are not misled by the use of marketing terms on foods. None of them are ideal. It is very clear talking to the “ industry” that they have no interest in self-regulation. It’s all about profit. DEFRA indicated that getting ministers to agree to a “ simple,” amendment to the bread and flour regulations was anything but simple. It involved getting the attention of minsters and this was discouraged on the basis of the current policy of avoiding red tape. The second option of guidance is just that. It is not regulation and so is no better than the current situation. The third option of registering Sourdough as a Traditional Speciality Guaranteed seemed to be DEFRA’s preferred option. It is, however, not ideal and not at all straightforward. In the first instance this would mean validation. This means a body would have to administer a system that audits bakeries. There is such irony that in protecting consumers through a Traditional Speciality Guaranteed name would mean more money, more time, more paperwork and compulsory membership to a body to be able to sell sourdough. It seems to me that this would suit a large corporation very well, but the small artisan bakers, who are after all the ones mainly making real sourdough just do NOT need this extra cost and admin in order to sell what they already make! Secondly we were advised that by registering the word sourdough itself would result in serious challenges to the definition of sourdough. Manufacturers will present a case at the consultation stage arguing that there is no definition, and so their faux version is also sourdough. It would take up to 2 years and full bread industry consultation to get this option to Brussels. 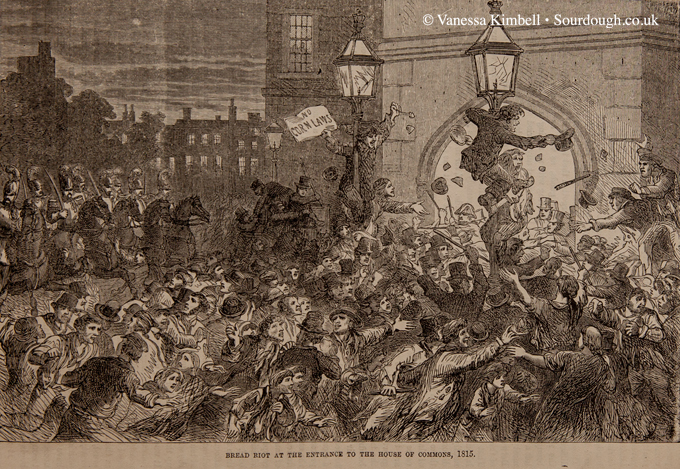 Bread used to be right at the heart of politics – 1815 Bread riots at the entrance to the house of Commons. I left DEFRA headquarters with my pot of sourdough with a sense that they wanted to help, but also feelings of complete frustration at the irony of the lack of choices for real protection for real sourdough. I’ll admit swearing along the lines of “stick that,” in the pub (only stronger) afterwards with members of the #realbread campaign, and know now that it was naïve of me to think that the systems in place could or would be used in the best way possible to help to protect something, that rightfully belongs to all of us, in the form it is has always been in. 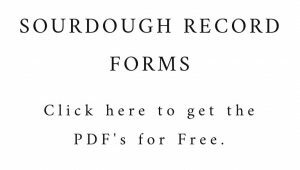 I cannot see any see any artisan baker wanting to sign up to an auditing body that enables them to call their sourdough “ traditional sourdough? !” In fact it does totally the opposite of what I set out to achieve allowing the word “sourdough,” completely free for the fakers to use indiscriminately! I’m afraid that the advice to use a prefix to differentiate sourdough from this mass-produced additive laden instant fodder has left me outraged. This is the preferred option to protect the sanctity of authentic sourdough? This offer to prefix of the word “traditional” is the soft option. It is a pacifying manoeuvre. An offer designed to sooth the artisan bread movement. A feel better sticker, that we can pop on our window, like a child getting a star on their homework, with the words good effort. It is a hollow offering. A solution that ruffles no feathers. I see this for what it is … a cheap fix which essentially allows totally impunity for corporates continue to manufacture rotten corrupt false sourdough that manipulates, exploits and takes advantage of the efforts of generations of artisan bakers, who make one of the most honest foods available naturally to mankind, and for what? For profit at any cost. When I mentioned this option to a sourdough baker on the phone that night their sense of incredulity left me holding the phone a good distance from my ear for several minutes until he had calmed down. “ Surely fairness would be to make the fakers call their produce “ sourdough flavoured?” he said. 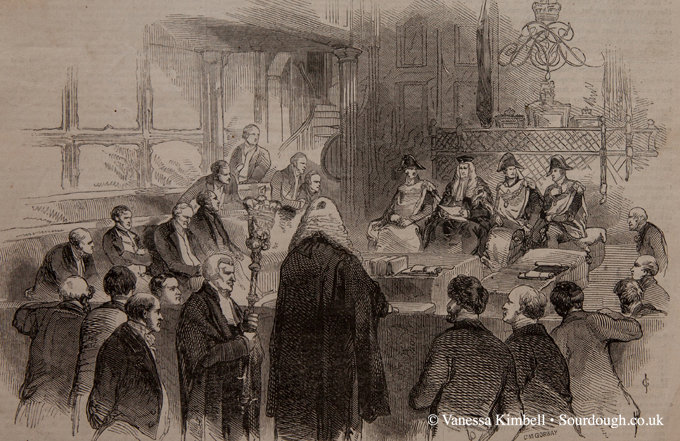 Ministers, discussing corn laws that affected the supply of wheat and the price of bread in 1842 – but are they willing to discuss real bread in 2016? At this point in time I can see 3 ways to go forward. Do nothing which relies on consumers differentiating between sourdoughs through information provided by the media and bakeries that bake real sourdough, in the way that it has always been made. To accept a Traditional Speciality Guaranteed protected name and really fight for the word “Sourdough,” with no prefix – and accept that this means auditing in order to administer it.To fight for a change to the bread a flour regulations. This would mean a national campaign, and getting minsters attention in order to secure a regulation like the French already have for the use of the word sourdough (with their Décret n°93-1074 du 13 septembre 1993.) This would mean real protection with no paperwork required and no costs and no membership needed for anyone, which would also mean that there is a level playing field for all bakers. In the end it will not be down to a handful of people to make change. The level of protection we end up with will be down to just how passionately people really feel, and whether or not they are prepared to stand up and fight for the rights of our most fundamental food. I’m afraid that the only way to make this happen is for the public and the bakers to rise up, which if I am honest will need considerable support from everyone, including the media. The French are prepared to do what ever it takes when it comes to protecting their culture and heritage and food. So the question is are we prepared to fight to protect our recently revolutionised British bread culture? Please let your MP and DEFRA know that real sourdough bread really matters. 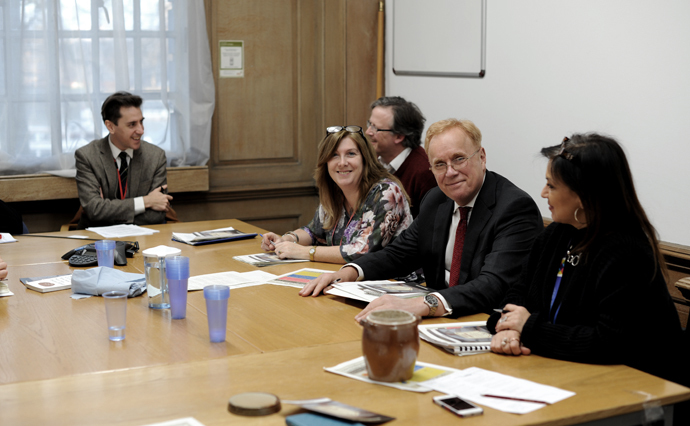 Also present at the meeting were my MP, Chris Heaton Harris MP, Ben Reynolds (Sustain), Andrew Whitley (Bread Matters), Chris Young (real bread Campaign); and Defra’s Brian Bibby, Michelle McQuillan, Funda Lancaster and Tom Stafford. .
Share the post "Real protection for real sourdough – DEFRA update"
I think the best way to get what you want, ie real protection for the use of the name Sourdough. Is to try to get a celebrity chef on board. And start a campaign like Hugh Fearnly -Whittingstalls campaigns on waste and fishing quota’s. In fact I’d say he’s the one you’d want. Certainly trying to appeal to MP’s sense of justice and desire to do the right thing is a waste of energy, most of them have no interest at all in what is morally right, or what benefits the citizens of this nation. It’s great that we’ve got a fight going to protect sourdough. It’s really important after all the great work that the real bread campaign has done that charlatans are not allowed to piggyback on this. If you’d like to use our festival to promote your work we’d love to have you here. I’d love to .. can you message me your contact details please? How utterly frustrating… thank you for standing up and trying to make change happen though. 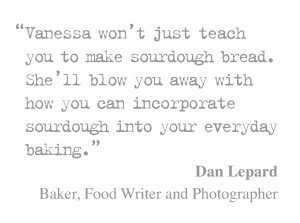 I am passionate about sourdough and one only needs to see the reaction from people who eat proper, real sourdough for the first time, to understand that this bread does deserve protection. 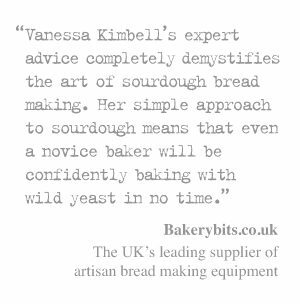 I set up Wild Baker a little over a year ago to teach people how to make this fantastic bread at home and absolutely love the response and feedback I get from them. 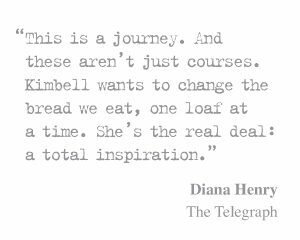 It’s so rewarding to open people’s eyes as to what bread can, and should, taste and feel like. It’s an absolute outrage that sourdough can be hijacked in this way by corporates who just jump on the bandwagon. Anyway – I was moved to write to say “thank you” for trying to make a difference to this disgraceful state of affairs and also to offer my support in this matter – I was a corporate lawyer in my previous life, so if there is anything I can help with on that or any other front, please know that I would love to. Thank you for your post. Very interesting to hear about the options, or lack of them. I wonder if fighting for really comprehensive labelling of ingredients would be another help. The faux sourdough are generally found in the bakery sections of supermarkets, where bread is not labelled. If they had to label all the ingredients consumers may soon learn to distinguish between real and fake breads. I have asked for ingredients in the past, but also know they don’t need to declare them all- seems clear to me whose interests are being served with such policies. Emma (previous post) is spot on, you need a campaign. A proper, full on, national campaign run by a top PR company that knows how to get into people’s heads. A campaign that will give people the information they need, and, most importantly, the questions they need to ask when buying bread. Only sufficient pressure from the general public will bring you the change you want. Look at different types of crowd funding, angel investors etc. Reading your article, it does seem as if the French legislation option is the best way forward. I don’t want people to think that sourdough is merely “flavoured” bread, obtainable, as Lyn says above, from the bakery section of a supermarket. I see no reason why there should be qualifications on the term ie “real” or “traditional”. That is plain wrong — it needs the term protecting in law and I suspect the French were pretty strict on this kind of thing given their general passion for food and drink. I must say that now I have at least one baker (within walking distance!) who sells excellent sourdough, I no longer feel impelled to come back from France with bread. (I do bake my own but sometimes the professional stuff has that edge!) Although when I am at my Dad’s, we will sit round the table discussing the merits of the several local bakeries and their breads, viennoiserie, patisserie etc. It’s a very soothing discussion especially when accompanied by samples. Thank you for taking this up with DEFRA. I don’t necessarily trust them as all too often the people with whom they consult are from the major food corporations who only are interested in the bottom line. I will certainly write to my MP about this to see if there is anything they can do or indeed, if they are interested in helping. Sorry to be cynical here but if as a consumer you can’t tell the difference then you probably don’t care enough to track down the good stuff. Thosecwho do care will probably only ever buy a maximum ofone crappy fake loaf! Hi Andrew, in principle I agree, but the fake stuff is actually really well done. So much so that when I looked at the loaves in an artisan bakery in The Yorkshire dales in August I was fooled. It looked, and smelt like sourdough. I sent a picture to a fellow baker and he tipped me off that this was a fake mix. I was amazed .. so I went back the bakery, asked the assistant if I could take some photos of the bakery, as a touriset and low and behold there was a stack of instant sourdough mix sacks. The bakery even had ” award winning,” artisan bakery certificates in the door. Now … if it can fool me, then it can fool anyone. I think that is what horrified me that most, and what actually drove me to speak to my MP and DEFRA. I just want to say, THANK YOU FOR BEING ON THE CASE! Such is the sad truth when it comes to modern food production. It is always the small, genuine businesses that are forced to “prove” that their product is the real deal. The same is true of words like “artisan”, “craft” and ” handmade” Trading standards laws should have enough teeth to weed out the imposters, but, as ever, public demand for food at unrealistic prices leads to our USP s being adopted as marketing tools to sell cheap counterfeits at a price which could not possibly return a profit for the genuine article. 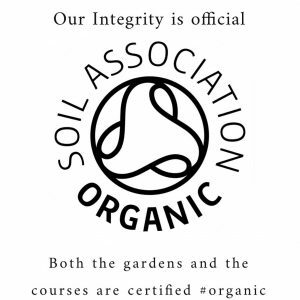 The result is very much what we see in the organic sector, with expensive, time consuming paperwork and audits together with a plethora of self appointed ( and highly profitable) bodies demanding all manner of conformities in order to use an appellation that should, by rights be the assumed standard, rather than bodies ensuring that anything less be declared larger than life for the consumer to see. The consumer drives demand. If they want to know badly enough, they will ask, but most of us have had our sense of value conditioned by supermarket pricing and our palettes dulled by mass produced foods to the point that we don’t recognise what constitutes “real” anymore. I dare say many people would reject a truly free range chicken as tough or chewy and a truly handmade sourdough as too expensive. Therin lies the greatest tragedy. I love bread. I have my own starter and love making and eating the stuff I make. I absolutely understand that big business see the sourdough “brand” as an opportunity to make even more profit and that, as things stand, ordinary people will be the losers. Of course legislation is a possible way to protect sourdough, but such an outcome may just see the supermarkets etc., back out of that particular market. Another approach (separate, or run in parallel), is to promote better bread. I’m constantly shocked at the poor quality of bread that the UK consumer is prepared to put up with. It is time that there was a country wide campaign to improve bread quality across the board. I might be wrong, but I’m convinced that large scale manufacturers of “bread”, including the supermarkets, have developed processes that produce a very poor quality product indeed. Given that making decent bread is not really that difficult, and given that the process involved (or indeed the ingredients) are not that different from the current practice, I’m puzzled why at least one of them does not break ranks to actually make good, wholesome, family bread. The solution is obvious, us progressive breadheads, need to recruit a Jamie Oliver, Hugh Fearnly-Wittingstall or some other high profile campaigning foody, to spearhead a real industrial bread campaign – and not only pressurise the industry but educate the consumer. If that ever got off the ground, real sourdough would not need protecting.